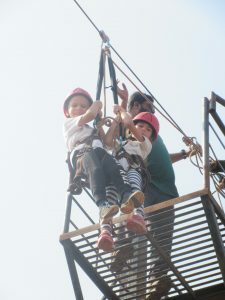 The children of PYP 1 have always been thrilled about field trips and this trip was no different. 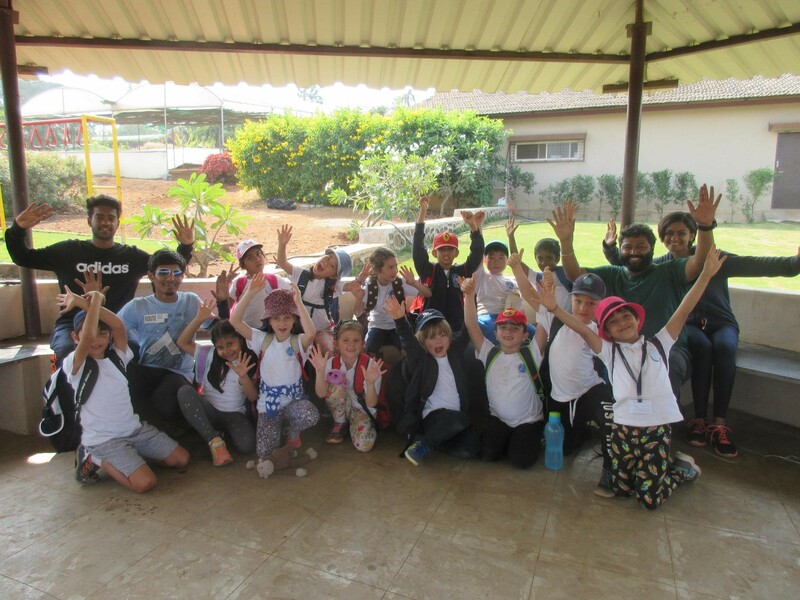 Their outing to Kamshet had them abuzz, bustling with endless energy and brimming with enthusiasm and camaraderie. Upon reaching the scenic Camp Water’s Edge, the children had a lavish breakfast which included Nutella sandwiches, fruits and apple juice, among other things. 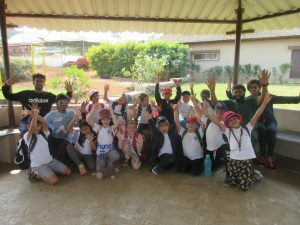 The team from Pugmarks then initiated a session of fun and games, all aimed at strengthening social bonds, having a good time and engaging the children in good, old-fashioned play. While the super-fun ‘Dragon’s Tail’ fostered team spirit, a sense of unity a nd togetherness and sportsmanship among our young learners, other games like ‘Frog Jump’ required alertness and developed mental agility. Then it was time for the much awaited Zip-Line! 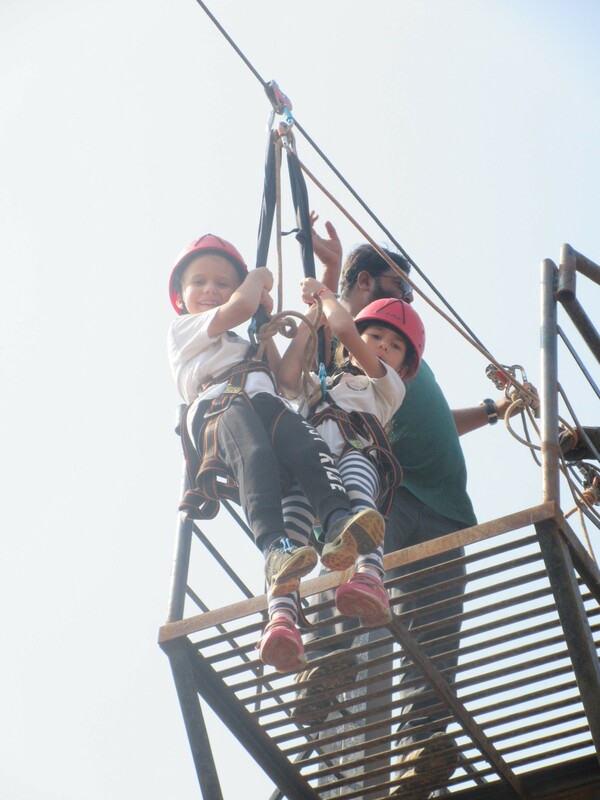 The courageous risk-takers of PYP 1 were all set and raring to go zipping down the ropes. They listened attentively to the instructions, wore their harnesses and helmets, did as they were told and had the time of their lives! Next, the children had a shot at the rock climbing wall. They demonstrated remarkable flexibility as they clambered up the wall like seasoned mountaineers. Most of our climbers even managed to reach the formidable halfway mark and amid much cheering, Oiva and William made it all the way to the top! All the cheering and all the adventure soon brought on the hunger and our children happily helped themselves to a relaxed, leisurely lunch. Fed and re-energized, PYP1 engaged in some wonderful after-lunch entertainment on the trampoline and monkey-bars in the garden. And then, all too soon, it was time to head back to school. Our amazing hosts for the day had one last surprise in store for us! The children were delighted to receive a bunch of Pugmarks goodies which made for excellent souvenirs of an unforgettable experience and brought about a befitting end to this perfectly enjoyable day.